This half-marathon plan is for anybody who has been running consistently for at least four times a week for the past six months. Also, you’ve had no major (4+ weeks) breaks for illness or injuries, have already participated in a half-marathon or full marathon, and want to see your hard work reflected in your PRs. On this plan, you will run five days a week; you have an option of running six days a week if you’d like. There are very few straight-up runs; most have bursts of speed—anything from 20 seconds to miles—added in. All the runs are in minutes, although some segments of them correspond to distance. Easy days will be unbelievably easy, but hard days will be, comparatively, pretty hard. The result? If you do the work, you will likely PR on this plan. We’ll keep you going, though, and over the base building period of the first six weeks, your average speed at 140 bpm will begin to increase. Over the following fourteen weeks, you will morph into a speedy cardio monster who can run for hours and hours with no pain and no anguish. Although you’ll have an EXCELLENT half-marathon in twenty weeks, consider this plan as your introduction to a long-term investment in your running. Its (priceless) yield? Low on injury and fatigue, and correspondingly high on enjoyment and performance. Be able to currently jog for 90 consecutive minutes. For at least the previous three months, you’ve averaged 20 miles a week. Own a reliable heart rate monitor, and you need to wear it all the time while training. The majority of your time, you’ll be training with a heart rate <140. Be able to say adios to your ego and put your usual pace expectations away for this program. Your training splits will likely be 2-3 minutes slower than they currently are. You will be passed by other (#uncoached, #unloved) runners who will have no idea about the magic you’re creating within yourself. You will think people in cars are talking about your turtle-like speed. (They aren’t, but it’ll feel like that.) For at least the first six weeks, you will likely walk up most hills and take regular walk breaks. Race pace will be a different thing, and we’ll cover that in depth, but your training is going to be s.l.o.w. Remember, you’ll have a group of #motherrunners doing the exact same thing, so you’ll have plenty of camaraderie and compassion. Have time—and patience—to devote to 20 weeks of training. During week one, you’ll run for five hours, 30 minutes over the course of five workouts. By week 17, the biggest week of training, you’ll be running seven hours, fifty minutes over the course of five workouts. The longest run distances are two, 180-minute runs. 1. Be able to currently jog for 90 consecutive minutes. For at least the previous three months, you’ve averaged 20 miles a week. 3. Be able to say adios to your ego and put your usual pace expectations away for this program. Your training splits will likely be 2-3 minutes slower than they currently are. You will be passed by other (#uncoached, #unloved) runners who will have no idea about the magic you’re creating within yourself. You will think people in cars are talking about your turtle-like speed. (They aren’t, but it’ll feel like that.) For at least the first six weeks, you will likely walk up most hills and take regular walk breaks. Race pace will be a different thing, and we’ll cover that in depth, but your training is going to be s.l.o.w. 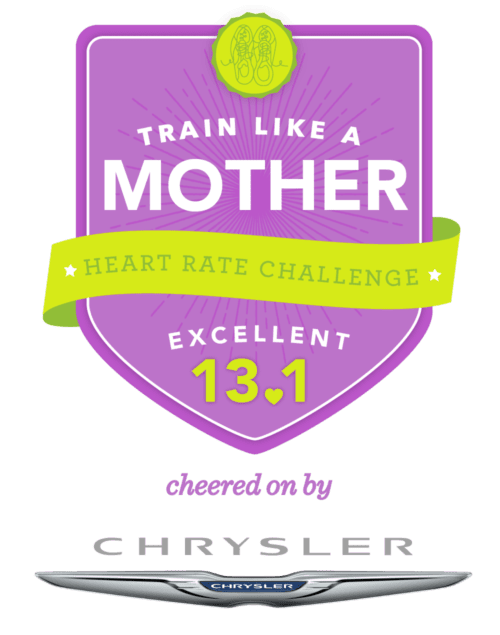 Remember, you’ll have a group of #motherrunners doing the exact same thing, so you’ll have plenty of camaraderie and compassion. 4. Have time—and patience—to devote to 20 weeks of training. During week one, you’ll run for five hours, 30 minutes over the course of five workouts. By week 17, the biggest week of training, you’ll be running seven hours, fifty minutes over the course of five workouts. The longest run distances are two, 175-minute runs. Does this program include a race registration? No. The fee covers two training plans (EXCELLENT + Introduction) and all the support you need for 24 weeks (nearly 6 months!) of heart rate-based training. That support includes an active Facebook page and Strava club, at least five exclusive podcasts, a Training Peaks Account, a stocked swag package (over $25! ), and regular office hours where we can help you over speed bumps. At the end of the plan, you will participate in the organized half-marathon of your choice; you can also choose to run a half-marathon on your own, if that works better for you. Chances are, we’ve got you covered. Find upcoming registration dates + waves here.